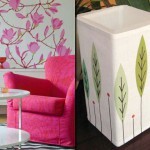 Often, when we buy furniture it doesn’t really fit our interior design, or looks outdated. But it is not necessarily has to be thrown away. 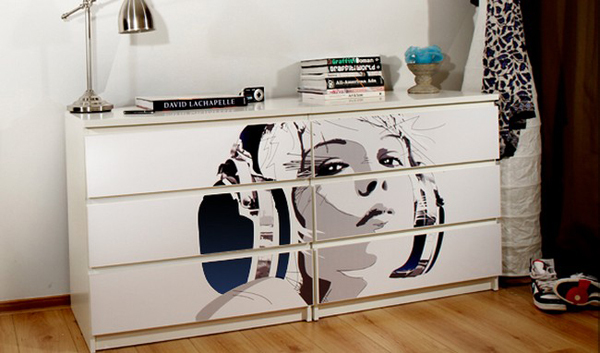 Here are some IKEA furniture remodeling tips. 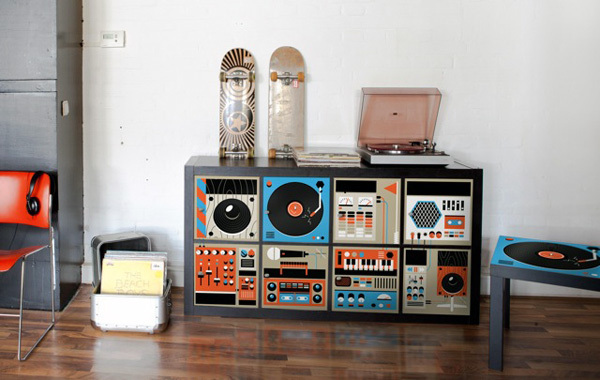 IKEA might be pretty cool on its own, however might not always fit in your desired interior. 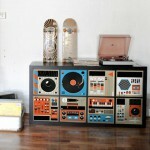 However, following these simple instructions, you can transform IKEA furniture into what you would like it to look like. 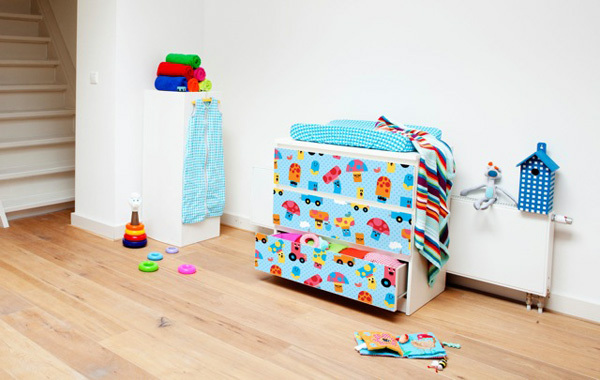 In this post we would focus on dressers, tables and organizer. 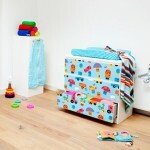 Why use IKEA over many other brands? Because IKEA has a quality and cheap price all together. First of all, use IKEA Lack coffee table or just any Table by IKEA. Using just adhesive, shellac, wallpaper of your choice, decorative nails, a ruller and a hammer. 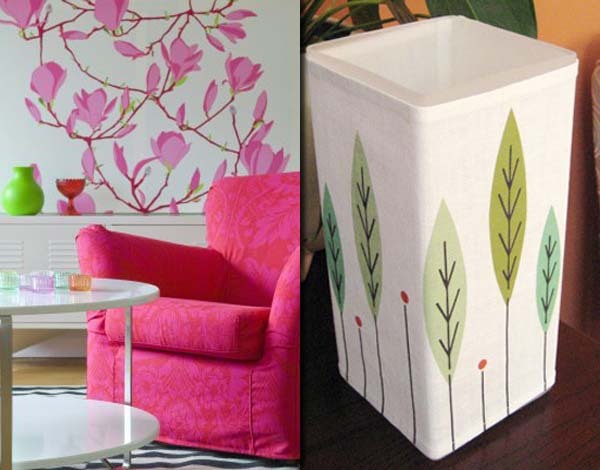 Using this easy to find items, you can recreated the IKEA table to suit your unique interior. 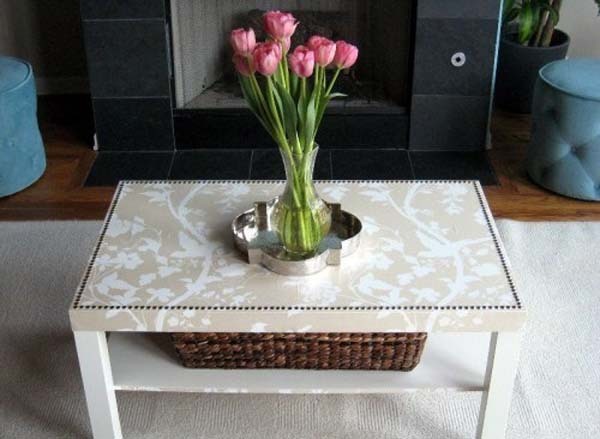 From simple white coffee table, this remodeled item turned into an awesome stylish fancy table. If you use your desk a lot for working or studying purposes, then perhaps you might consider desk organizer for all your small items. 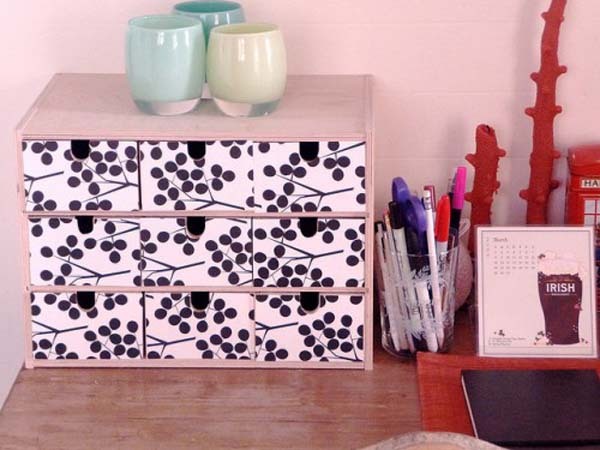 A simple white wood IKEA desk organizer can be a wonderful addition to your study room, or home office. However, making it more personal does seem like an option. Use use graham paper and Mod POdge. Try making a template for little drawers, and apply a coat of Mod Podge to your drawers. Now it is all unique and yours. 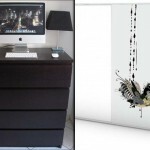 A small or big IKEA dresser can be easily remodeled into a fancy or hip dresser unique to your design. 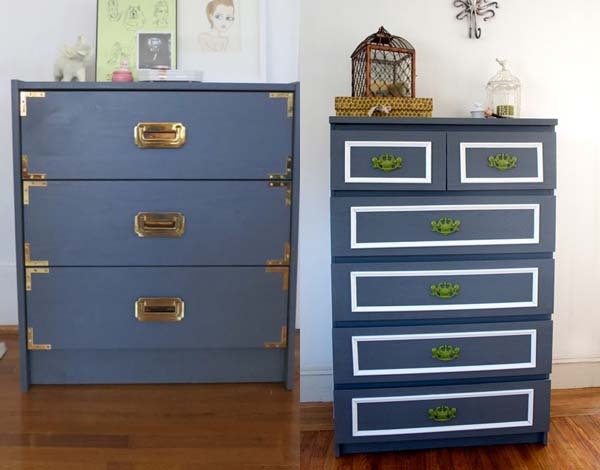 What you need is some paint, brass hardware, to add it to the edges of the dresser, and some cool brass handles. Some drilling and painting, and your hip dresser is ready. Or, you if you have Malm dresser simple black, you can turn it unique by paint and extra fancy handles. First, you need to sand it, then paint it, and add brass hardware in the end. 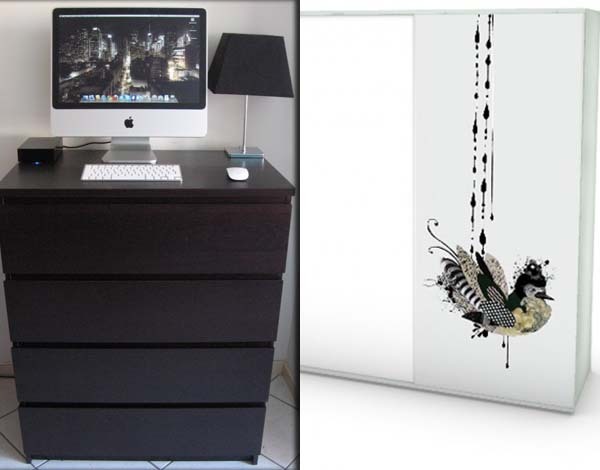 Another awesome idea of using a dresser, is to make a standing work place. It’s easy, but very original. Simply put a computer, or any working items on top of your IKEA Kullen dresser.